As at 23 June 2017, Housing Plus owns or manages 919 properties. This includes community housing, affordable housing and housing for people living with a disability. We also manage crisis and transitional housing for individuals and families experiencing homelessness and/or domestic and family violence. These properties are located in Central West and Western NSW. 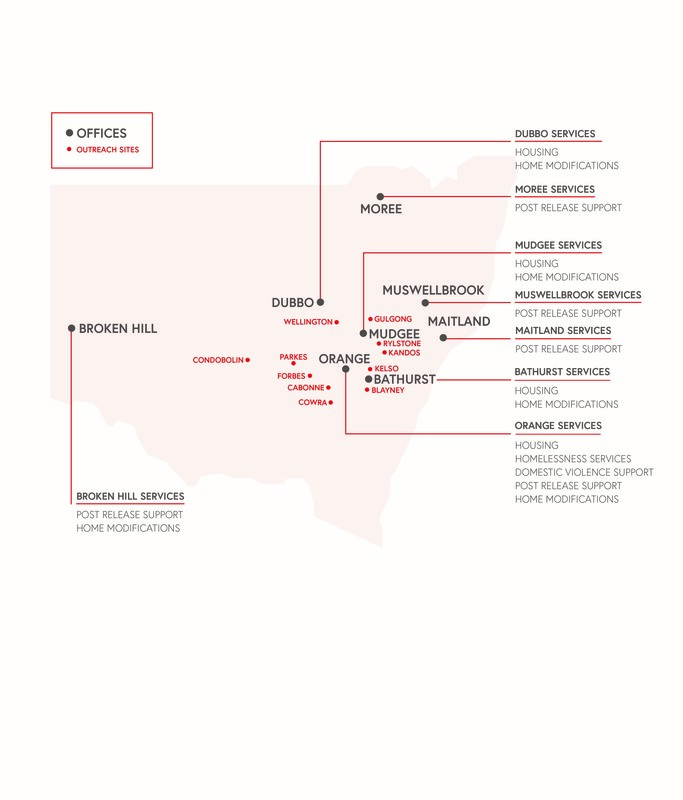 Our footprint across NSW is approx. 192,000 sq km.